IT is definitely one of the hottest industries today. We see the rise of revolutionary technologies such as Big Data, IoT, Artificial Intelligence, etc. with which the demand for IT experts, in both hardware and software has skyrocketed. However, with this increasing popularity, the competition in this domain has also picked up pace. So, how can you stand out among other individuals vying for the same jobs? Let’s find out. Since IT industry is extremely dynamic and growing at an exponential rate today, one of the most important things that you must do is stay current. You must be aware what’s going on in the industry. What are the trending programming languages? Which software companies are shaking up the industry? These are some of the questions you must have the answers to. However, mere knowledge won’t cut it – you must keep your IT skills up-to-date as well. Whether certifications are really useful in taking your career to the next level is debatable. However, it is unlikely that clearing a few good certifications would do any harm. Some organizations place some value on certification, and use them as a way to promote advancement and salary increases; while others do not give any value to certification. It is true that some IT people will study only to pass the test. However, in general, those people who have passed tests tend to keep their IT skills current. Certifications can make your resume a lot better and give you an edge over others. Besides, when there are almost 2,000 different kinds of IT certifications, you are bound to find something that may work for you and interest you. Although they might cost a lot of money and time, some of the best certification options that you might want to consider include: PMP, CISSP, VCP and MCSE. Do some research. Find out which programs are in demand, and will stay in demand for at least a few years. If possible, attend a few seminars that’s relevant to the trends and advancements in the IT industry. Consider the programs that compliment your existing skillset, instead of starting from a scratch. Make sure you consult with a few knowledgeable people in the IT industry before making the final decision. Nothing does wonders for your resume than the mention of a first-hand experience with a software project. It is one thing to master a programming language in theory, and a totally different thing to use it for making a software of your own. By learning a new software language and using it for creating your own product, not only you get to understand it much better, but also get a chance to put your creativity to work. An employer is much more likely to prefer someone with actual experience with a skill they are looking for, rather than someone who has good theoretical knowledge. One way to get some hands-on experience is by volunteering. So, if you find that someone wants a new website built in node-js, or an iOS app for their business, approach them and convince them to give the project to you. Even if they are paying a modest sum for the service, accept it. The experience is way more valuable than any amount of money. 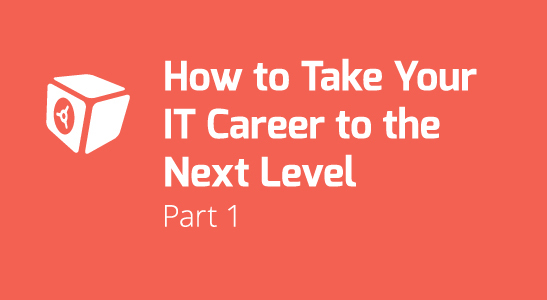 In Part II, we will further consider some points on how to take your IT career to the next level. In Part I, we discussed how to hire top IT professionals and engineers. 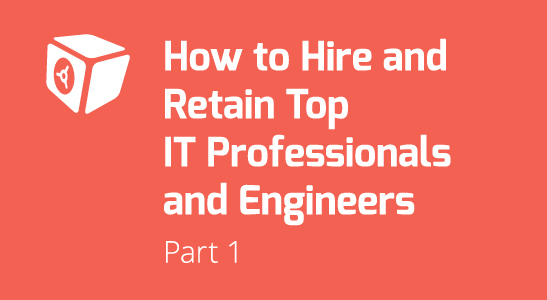 In this Part II series, we will further discuss how to retain the top hires. Many companies make the mistake of keeping their staff isolated, for which they often pay dearly. When employees feel left out, it becomes easier for them to entertain the idea of looking for other opportunities. So, whenever possible include them in the decision making processes that could affect the company, specifically their team. In fact, good engineers are usually quite opinionated, and they want to be listened to. So, allowing them to make some calls and express their opinions won’t only make them happy, but also benefit you with valuable insights. Micromanaging your employees could lead to a dysfunctional team. If you have the right people in your team, they understand what should be done to come up with very creative solutions to existing and future problems. As a team leader or a manger, let your team know what the desired result should be (or the problem you want resolved) and allow your engineer to come up with the best solution. Avoid the temptation to tell them how the problem should be resolved. Instead, ask for their input. Such autonomous environment will make employees feel that they are valued, are in charge, and empowered. This way of management will increase your employee satisfaction significantly. Job satisfaction and comfort have become the top priorities for employees today, while bonuses and other monetary perks are gradually losing their charm. So, as long as you can ensure that your IT staff gets to work in a comfortable environment and enjoy flexible work hours, you won’t have to worry about retaining them. Engineers working collaboratively with offshore teams might need to work outside of typical 9 to 5 hours. Flexible hours will allow employees to have the perfect work/life balance. Listening to your employees, and showing appreciation for their good work can go a long way. Recent studies have proven that recognition that comes from executive level management can have a powerful impact on their employees. Other ways of attracting and retaining employees are: investing in training, providing access to new technologies, offering free perks (like weekly lunch, gym, promoting from within the company, and providing competitive compensation package). Application Isolation: Conventionally, data centres alloted​ one dedicated server per application. However, this cause​d​ an extreme waste​ of resources​,​ as most servers ​were​ underutilized and the workload ​was minimum. ​With server virtualization​,​ you get to make the most out of your existing servers. Increased Uptime: With server ​virtuali​zation​ chances of data breaches, cloud backup failures, etc. ​,​ are minim​zed​. In the process, IT standards compliance mandates are met. Run New Applications at Low Costs: Hardware and ​Operating ​Systems​ quickly get outdated​,​ as newer versions are launched. ​It is not easy for most businesses to replace their entire IT infrastructure with new one​s. This is where virtualization can be helpful. It can give you access to the most up-to-date hardware and OS at affordable costs. For any business,​ maximum uptime is extremely important. Thus, when you are running a backup ​job​​,​ you would rather not pause the running applications. ​Your ​systems​ ​might not be advanced enough or ​your server ​might not have sufficient memory to handle multiple complex processes at the same time. ​ With server virtualization, however, you can run a great number of applications simultaneously while running backup ​jobs​ at the same time. Faster and Easier Full-Server Backups: ​Some vendors​ use modern VM methods that allow you to create full backups much faster than ​using ​ traditional methods. For instance, by using Block Level Differentials​, ​users​ don’t have to backup the full imagine every single time​, rather only backup the blocks that have changed (whether modified or added data)​. Hardware Independent Data Replications: Before virtualization was popular,​ data replication was quite expensive and tedious, as it used mirrored SAN hardware or server-by-server reconfiguration. However, with virtualization​ you can perform replication at the hypervisor level, thus making hardware dependence irrelevant. Better Data Protection: Virtualized servers are in essence physical computers that serve as containers for virtual machines. In other words, they are software modules that appear physical on the surface. ​I​n reality, however,​ they are separated and abstracted from the core hardware layer. So, with ​virtualized servers, you don’t have to deal with complex things​,​ such as boot sectors, system states, etc. and protecting your data ​becomes​ much ​faster and easier. 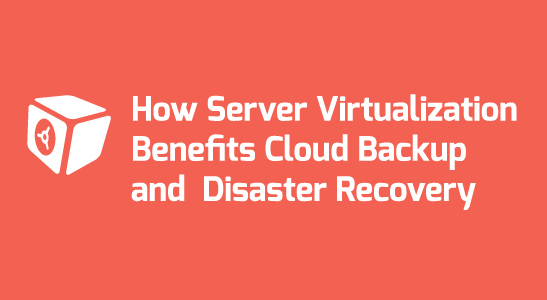 Optimizing your cloud backup and recovery in virtualized environment doesn’t happen overnight, but needs a deep thought and planning, as servers could at times fail when virtualized. Therefore, you will need to assess your hardware status before running VMs, layered with cloud backup and recovery software. Hiring good IT engineers is not easy, but it’s even more difficult to retain them by keeping them happy and making them feel valued. Even if you are able to receive several promising resumes at the time of hiring, screening the candidates takes time and strong acumen. The hired engineer should reflect the company’s values and have a personality that helps them going along with the workplace culture of your company. When you want the best of the best, you just can’t leave the hiring power with only one person. By making the candidates go through several interviews that focus on different areas of work, personality, and skills, you can filter them out in a highly efficient way. If a candidate passes all these interviews, you can be sure they will become a valuable asset for your company. You don’t want someone who is an expert at developing Linux software, or someone who is a master at networking if you already have employees in these areas. Instead, you must look for qualities and talents that can complement your existing staff. You have to look for skills that your organization is currently lacking. Apart from technical skills, you must also look for leadership and creative qualities. If an IT engineer demonstrates good technical knowledge during the interview, it doesn’t mean that he or she is the best person for the job. They must be able to handle pressure and constructive criticism. Candidates should be interviewed by many stakeholders, including: the manager they report to, human resources, team members, and a couple of other engineers. Remember, not doing a rigorous interview may result in hiring the wrong candidate and may cause a lot of monetary and productivity loss. Everyone these days has some kind of online presence. Google the candidates name, check their professional profiles (like LinkedIn). See what kind of connections they have on LinkedIn within the industry. Check how many people have endorsed them? How many recommendations they have? What are they passionate about? Is there any non-profit organization they are involved in and care about? Have they posted or shared any kind of controversial topics in social media? Have they authored any industry articles? The answers to these, and other similar questions, will give you a good idea on the suitability of the candidate. While hiring can be challenging, retaining good employees isn’t a piece of cake either. In Part II, we will discuss how you can retain your top-performing IT engineers. Data Analytics and Big Data have become the latest buzzwords in the IT industry. As more businesses are realizing the significance of online presence and learning the fundamentals of e-commerce, the need for cloud backup and disaster recovery solutions are also increasing. Managed Service Providers (MSPs) are leading the SMB market as businesses are looking for strategic and reliable partners, who can provide robust cloud backup and data protection solutions. Since downtimes have proven to cause significant losses, MSPs are expected to lend a helping hand by keeping this problem at bay. For instance, in an event of an outage — whether caused by natural disasters or human errors, MSPs are able to provide rapid database recoveries, allowing the affected companies to get back on track quickly. Justifying the Need and Creating Awareness: Many companies are not still aware of what IT disasters are, and how disasters can impact their businesses. As an MSP, it is your responsibility to educate them on the matter and show them how little things like data breaches, network failures, etc. can make the entire business collapse. Focusing on Downtime: You must show how downtime can directly contribute to a financial loss and damage the reputation of a business. A good example to use here is the Delta Airlines data center downtime incident that caused chaos in US Airports in 2016. The Delta systems were down for a mere 6 hours, but the damage it caused was substantial. There were more than 2,000 delayed flights – about one-third of the airline’s entire schedule, and they needed to cancel hundreds of flights, leaving thousands of passengers stranded for hours. 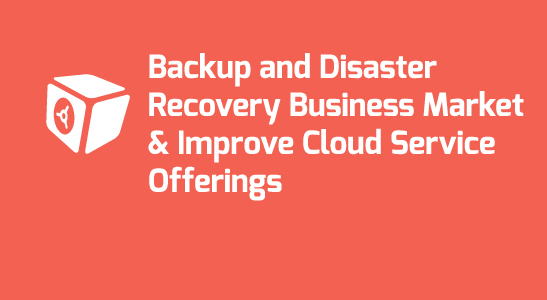 Showing the Value of BDR Solution: Show them how cloud computing solutions can offer speedy backup recovery (Granular Recovery Technology, Sever Mirroring, etc. ), protection against ransomware (which has become the number one threat to the organizations globally nowadays), 24/7 network surveillance for immediate intrusion detection, etc. If you are an MSP and are interested to increase your cloud offerings, it might be fitting to start from such services as Cloud app migration & management, consultancy, and private cloud services. In addition, you can also offer Identity Management as a separate service. Identity management is becoming a natural requirement for organizations that want to improve employee management and get a better control on company resources access. However, companies often lack the expertise. This is where you come in as an MSP. You can incorporate related services, such as device management, user management, password management in your existing cloud services. There is a huge demand for these services, and you can certainly benefit from venturing into these value added services. Disaster recovery infrastructure needs considerable upfront investments. Additional investments are also needed for hardware and networks keep up after the initial investments. Many SMEs shy away from implementing disaster recovery solutions in their systems, on premises, due to these associated high costs, which is one of the primary growth drivers for this market. Therefore, companies instead opt for the annual subscription model of BaaS. According to the North Eastern University study, about 2.5 Exabytes* of data is produced every single day across the globe. That is a huge number, and is equivalent to 250,000 libraries of Congress, or 90 years of HD video. An IDC study** also predicts that universal data “will be doubling in size every two years, and by 2020 the digital universe will reach 44 zettabytes, or 44 trillion gigabytes”. Thus, to say that data is important today is a massive understatement. Since businesses have become more and more data-driven, and lots of data is being generated on a daily basis, cloud backup and recovery services’ bandwidth have steadily increased. 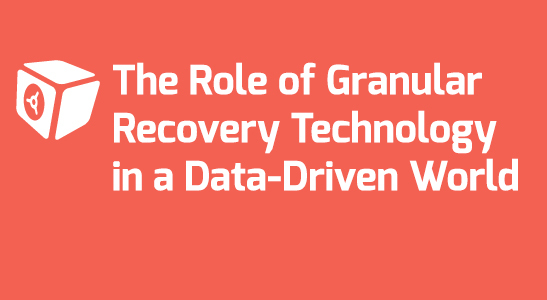 If you are a cloud service provider and want to stand out from other MSPs, then you must stay up-to-date with the emerging data backup and management technologies, one of which is Granular Recovery Technology (GRT). Let’s say one of your clients lost the contact information of all their customers due to an employee’s mistake or a corrupt database. The files have been simply deleted from the database. How do you imagine they would feel if you tell them that they can recover the same files in a matter of a few minutes? But, how is this possible? Traditional recovery methods have shown that recovering databases is a no mean feat, and can take forever to complete. Well, this is where GRT comes in. GRT allows you to restore individual portions of a backed up file, rather than recovering the full database. GRT can help you isolate a particular file from hundreds of thousands of files. So, if a customer has deleted their entire email inbox, but only need the sales-related emails back, then you don’t have to restore the entire inbox. You can just enter the relevant keywords in the GRT program, apply a few filters, and voila! You’ll have the required emails in no time! When IT Managers have to decide whether they want to partner with an MSP or not, they consider a variety of factors. For an MSP, the better its services are, the better its odds of getting the partnership. For instance, if you can incorporate GRT in your portfolio and explain the same to the managers, you could arouse their interest. GRT is powerful as it is, and if you could show your potential and existing clients with a few examples how it could save a good deal of time and resources, there is no reason why they wouldn’t want to join hands with you. While full database restoration is always an option, what if a business is facing serious downtime only because of the significant time it takes for database restoration? With GRT, you can restore only the essential files that are required at the moment so that the business can resume operation right away. Meanwhile, you can work on restoring the rest of the database modules that carry a lower significance. Even though GRT is essentially optional and not a mandatory service, it will come in handy when an accidental data deletion happens or an employee maliciously deletes databases. Rather than restoring the entire database, a portion of the databases can be recovered with ease. In today’s competitive cloud backup and storage markets, MSPs must plan ahead and ensure that they are able to provide the most up-to-date services to their clients. Data Deposit Box provides the best cloud backup services, including granular recovery technology. A few hours of network outage is enough to leave your company shaking. We live in a hyper-connected world after all, where time is everything, and where a large number of the commercial activities are done online. Whether we are talking about sales, customer support, delivery of services, or even keeping your in-house business records up to date, you will need a reliable IT system to keep everything under control. Unfortunately, no matter how good your measures are, IT infrastructure could go down anytime, unpredictably. According to an IHS study*, outages cost enterprises a whopping $700 billion a year. The participating companies reported at least five downtime events every month, with an average total downtime of 27 hours a month. This is a big number, with big losses. While typical mid-size companies reported an average loss of $1 million a year, the large enterprises seem to take an even harder blow, with losses of $60 million. Downtime, irrespective of scale or duration, can impact a business negatively for it hits the business at the core, by bringing everything to a halt. The sales come to a stop, productivity of the employees is impacted negatively, and there are also potential risks of data breaches, and online backup failures during recovery. Well, you can’t really blame anyone for this, but it holds a 33% occurrence probability. Companies invest in very expensive top-class storage systems, servers, routers etc. so as to make their infrastructure resilient. Although investing in top line equipment helps in making the system robust, it could fail at anytime. When the power is out, Uninterrupted Power Supply (UPS) is the only backup support in most businesses. However, when even that fails then it can bring the business to its knees. Unfortunately, it was the cited reason for about 55% of the outages. Bad weather — hurricane, floods, earthquakes, and more — can also damage your hardware and is accounted for about 30% of downtime. Surprisingly, employees themselves account for about 48% of the total outages. In most cases, the mistakes are petty to say the least. For instance, it just takes one malicious program download to infect the entire system. Accidental deletion of databases is also another common reason behind the outages. 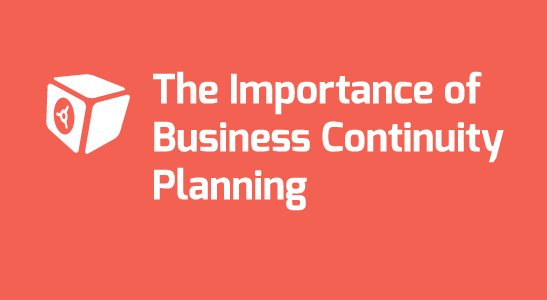 How to Develop a Good Business Continuity Plan? Remember that downtime affects everyone. No one is immune to it. It is just a matter of “when” the downtime takes place, not “if”. The first thing that you must do is to start using a cloud backup service, such as provided by the leading company like, Data Deposit Box. If your data is backed up and protected, you can get your system up and running within minutes after a disaster. Another important aspect of your business continuity plan should be network monitoring. With a modern network monitoring software, you can detect vulnerabilities in your IT infrastructure before it leads to major problems. It can also help detect data breaches or degrading health of an IT equipment. 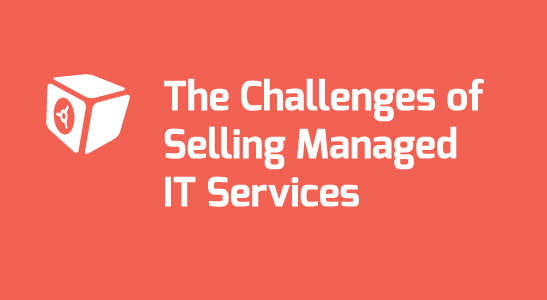 Although Managed Services Providers (MSPs) can add great value to any organization, they are still struggling to penetrate the IT industry today. Sonian, which is one of the biggest email archiving companies offering cloud based solutions, studied* a large number of MSPs in a survey to better understand their challenges and trends. The participants include experts in sales, marketing, product management, and business development executives. About 95% of the total participants agreed that their customer requirements are constantly changing. Thus, it can be hard for an average MSP to keep up with their requirements. The survey revealed a common theme despite the diverse population. It confirmed that MSPs are very much interested in inking deals with partners who can provide great support for mutual success, and the survey also proved that the solutions provided must meet the ever-evolving needs of their customers, reduce the need for additional resources, and improve margins. MSPs also have to upgrade their software products frequently to keep up with technology and to give their customers access to the most recent tech features, which can be quite an expensive affair if a company was to do all the upgrades on their own. For a company to partner with an MSP they must be willing to make a variety of changes. Thus, it is not hard to see why so many companies decide to keep the things the way they are, despite being aware of the drawbacks. Although 95% of the participants agreed (68% agreed and 27% strongly agreed) that their partners are providing them with adequate resources to sell and support their products and services, making the partners comfortable initially is still a challenge. Many firms turn to MSPs for cloud based online backup and disaster recovery, virtualization, and strong data protection features. This is why MSPs must do everything in their power to come off as a reliable partner for any business. Although the popularity of cloud backup services is increasing every year, MSPs still have a long way to go. Many companies are still shying away from partnering with MSPs. This is clearly indicated by the fact that 77% of the survey participants chose “driving new business” as their main area of focus and concern. One way to increase demand is to work on the marketing campaigns. The prospects must get a clear idea of what an MSP can bring to the table, and how they can improve ROI, because after all, that alone can nudge them in the right direction. 59% of the participants also said “finding go-to-market partners” is their main concern. A robust business is highly dependent on its partners. However, this problem can be easily tackled by maintaining full transparency with the partners and going an extra mile to let them know that their services are being appreciated. While an MSP can be of great help to any company, small businesses can reap the benefits more that others as they have modest IT budgets. By teaming up with an MSP, small and medium businesses can use top-tier business products at affordable rates.